The fireplace is often the focal point of the family room, even more so this time of year. Whether you are cozying up around the fire or hanging your stockings with care, your mantel décor is an opportunity to showcase your most treasured Christmas trinkets and your personal style. 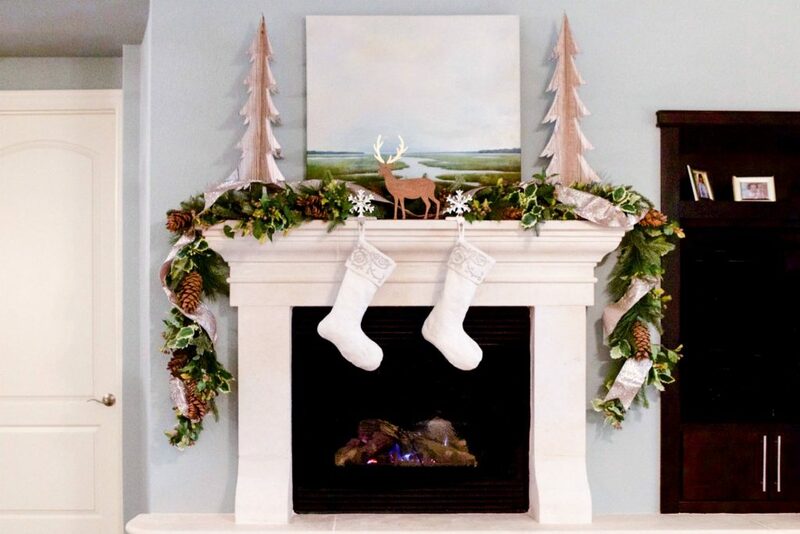 This year we had the opportunity to share with Wayfair.com how Heather transitions her fireplace mantel from her everyday look into a festive focal point. Special thanks to Erica Woodford at Erica Woodford Photography for taking the photos. 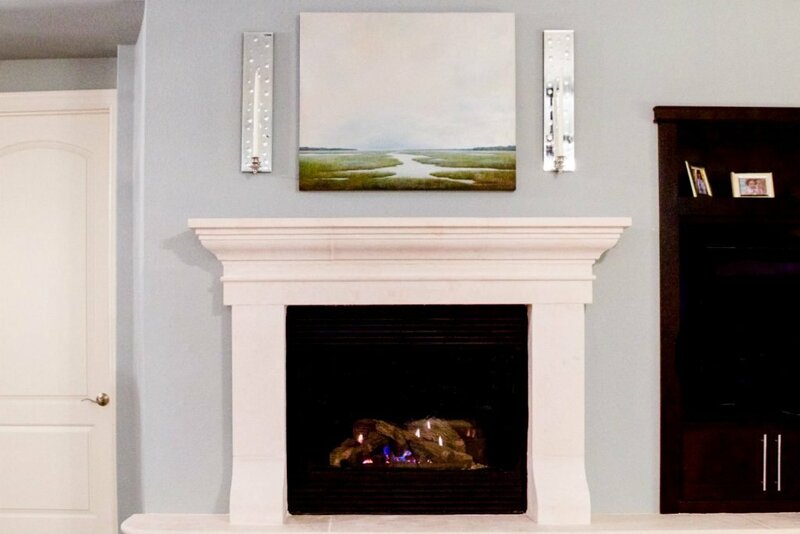 Heather’s everyday mantel incorporates a neutral color scheme with accents of serene blues and green in her art. 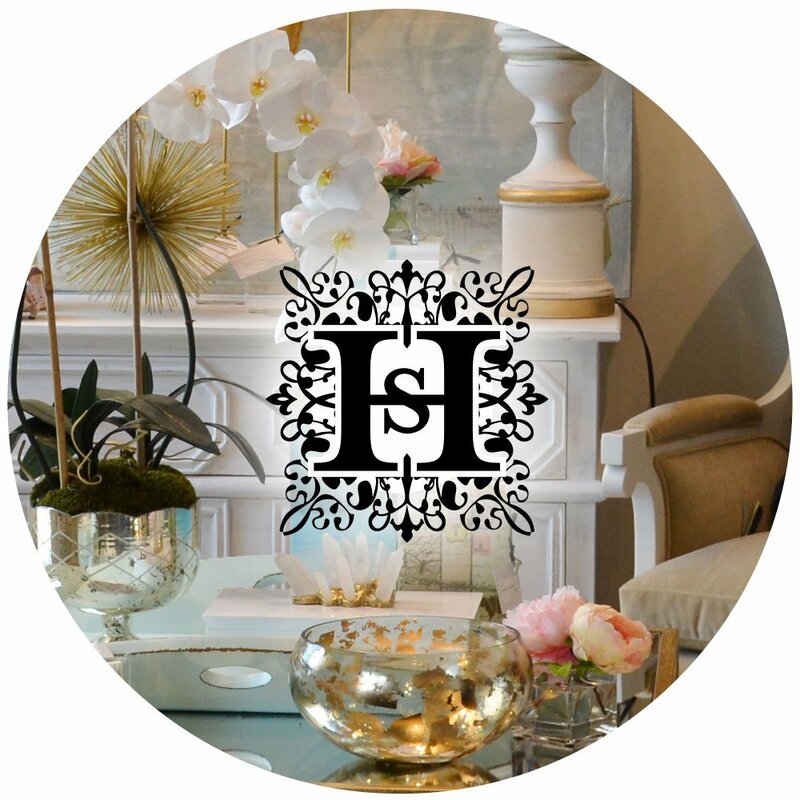 Her tranquil art piece is framed with mirrored sconces for a hint of glamour and drama. 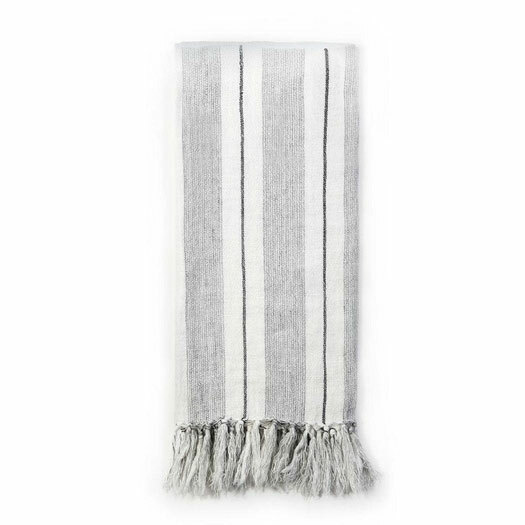 Every year when decorating for Christmas, Heather sticks to a neutral color palette of white, silver, and gold. 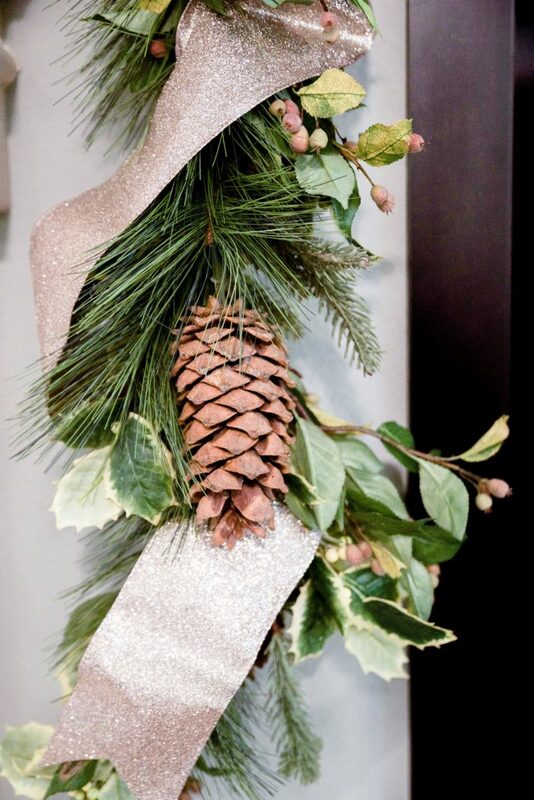 She drapes a festive garland with pine cones as the focal point of her mantel. To avoid any allergens, she splurged on a high end faux garland that she enjoys year after year. Then to add more visual impact to the bold greenery, she laces a ribbon through the garland. 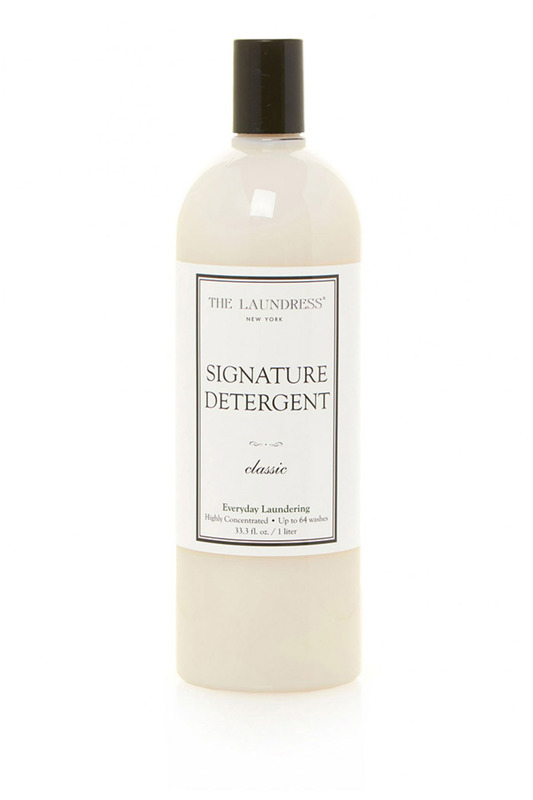 This year she added a champagne glitter ribbon for hint of holiday sparkle. 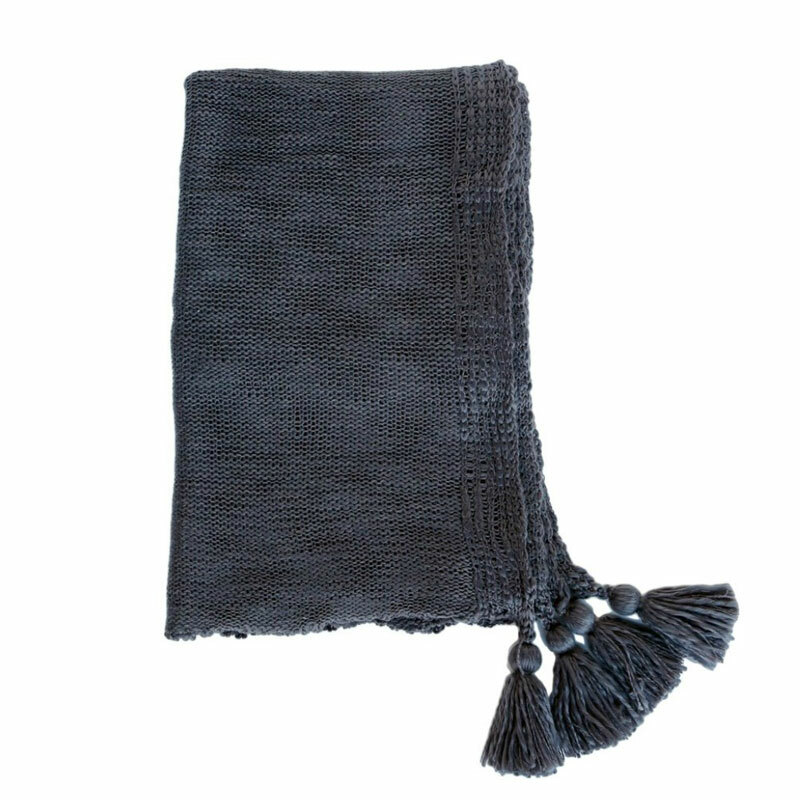 Ribbon adds an effortless layered look to the to mantel. Layering your favorite garland with holiday ribbon is an easy way to change your decor each year. 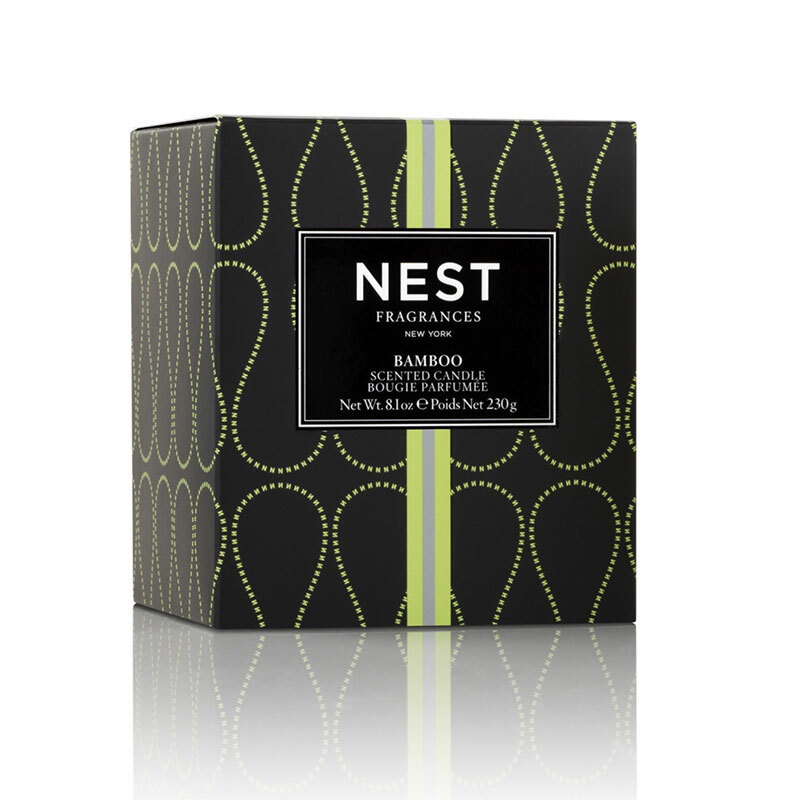 It will also give your favorite decor a fresh new look with little investment. 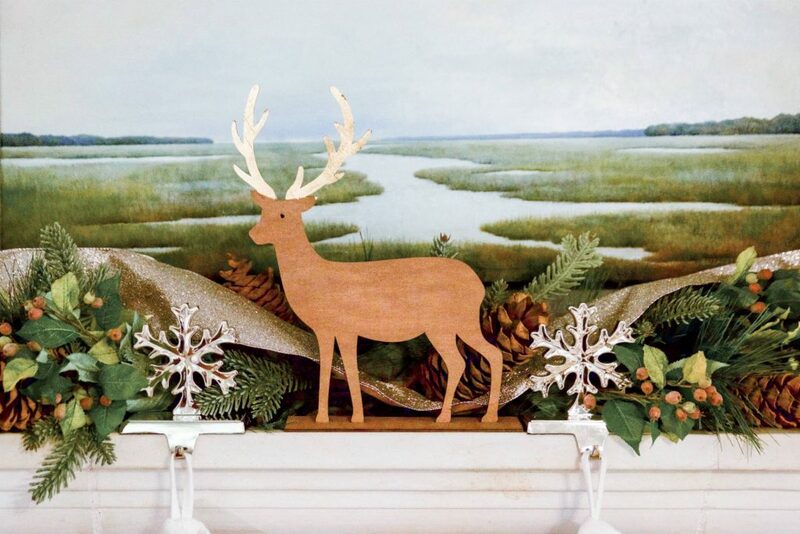 The cute deer with gold antlers and glittered birch trees add even more interest to the mantel, while still keeping with Heather’s neutral color scheme. 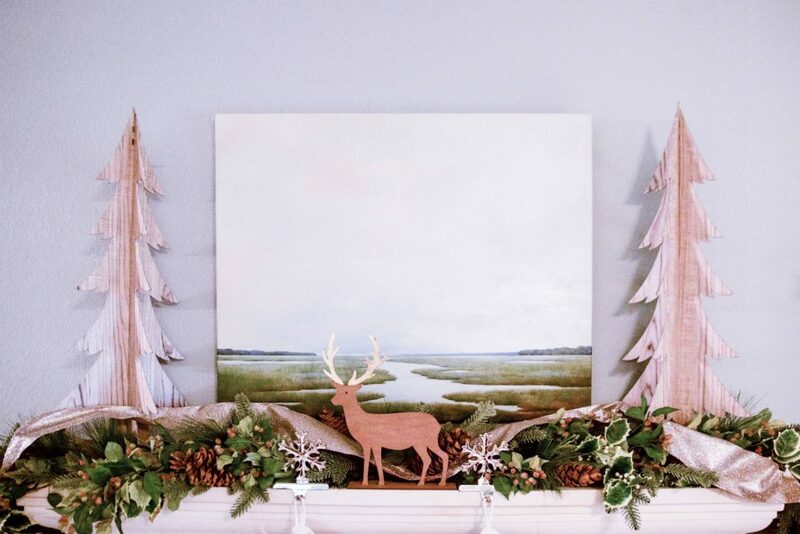 The pair of birch trees add height and symmetry to the mantel, while the deer draws your eye in. Complete your mantel by hanging your family’s stockings on holders that are not only functional, but also look chic and classic like Heather’s snowflake ones below. 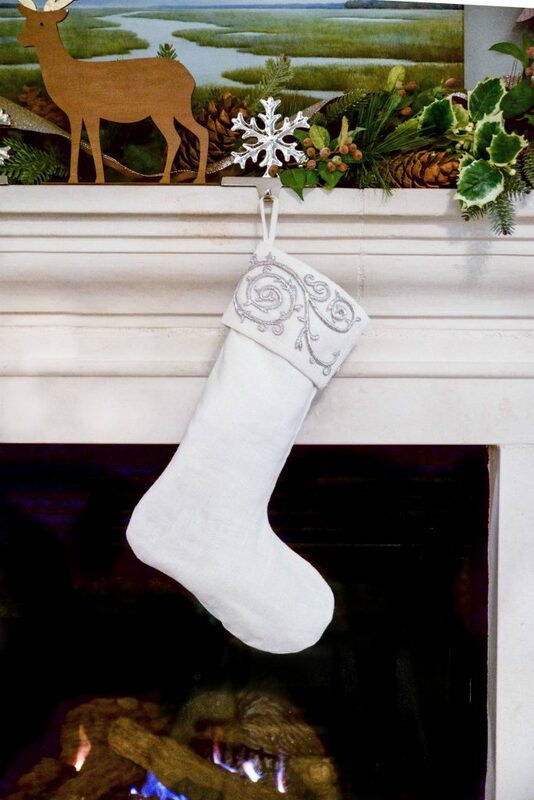 Her embroidered stockings add a dressy and formal element to her classic Christmas mantel. When decorating your mantel this season, make it special, have fun, and let it express your holiday style!